Up to now we have published our Reel Fives content on the URL for our old blog Rocking Potatoes. Now the lists of best movies ranked for all of movie genres we have collected are now available at our Reel Fives Movie Rankings Aggregator beta site! All of the Reel Fives movie articles can be found there currently. There are new pages you should check out inf interested. They include our Ranked Genres Top Movies Page which lists all of the movie genres we have aggregated rankings for up to date. The listings of all our posts on top movies is in our All Reel Fives Posts page now there is better organization on the specific types of articles available. You can check out our Rankings Releases of Top Movies for each Genre with discusses the aggregated movie rankings and provides reactions. Our page on Reel Fives Feature Articles has posts that are more in depth and interesting article series - such as the movies that influenced Quentin Tarantino or the evolution of the Women in Film. We also have a Reel Fives Movie Lists page which displays all of our posts that provide recommendations, usually topical and timely, on movies to watch. Also of interest may be the About Us page which describes a bit of the history of Reel Fives. The Frequently Asked Questions (FAQ) page has a good amount of clarification, including how we produce are rankings on the best movies for different film genres. Finally we are developing a Reel Fives News Letter and would be grateful if you could join the Reel Fives News Letter to get the latest on Reel Fives Podcast Episodes, the latest ranked movie genres, and contests we will have from time to time. We look forward to growing our community! With the Olympics in full swing in Rio, we gathered a few of our favorite Olympic films. The Olympics show the perseverance and strength of individuals who are dedicated and passionate about their sport. This is what makes the Olympics so intriguing to watch. 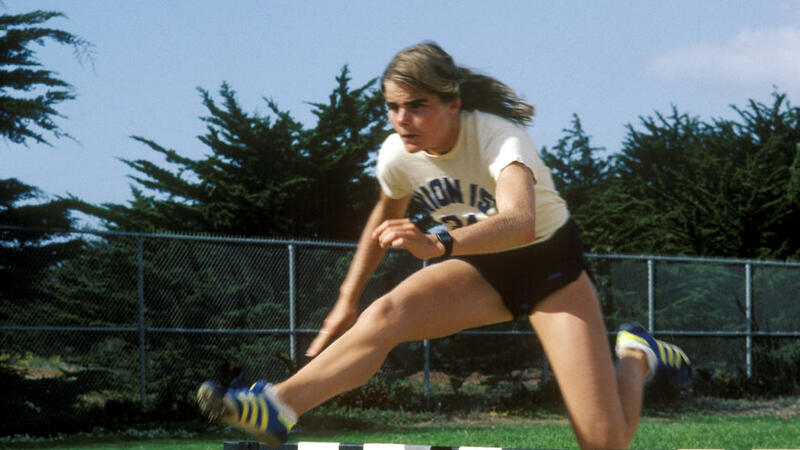 One hears stories of how Olympians became a master of their sport and the sacrifices they made. One hears of the ups and downs of the journey. Not many people want to practice at 5 am, but so many Olympians do. That is what makes the Olympic movies so great. They show the work behind the perfect game—or how close loss was. 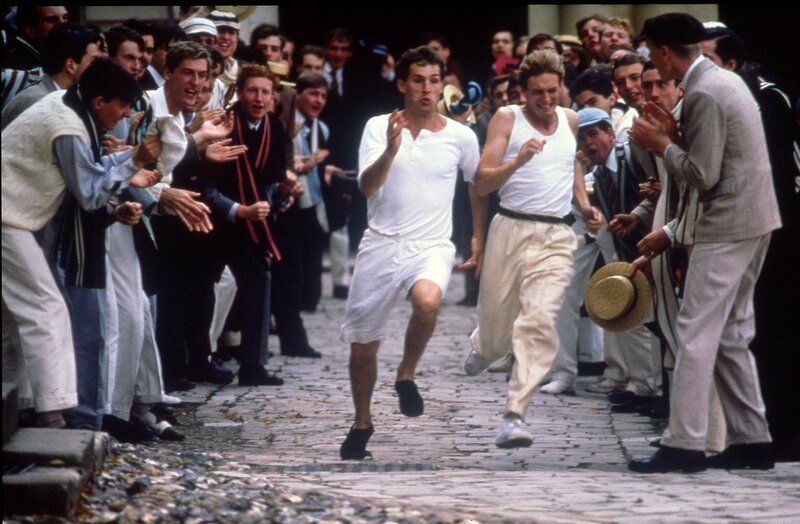 The film focuses on two British runners who will compete in the 1924 Paris Olympics and their stories. While they try to make it to the top, their religion and class affect their fellow countrymen. The film shows how personal lives can get set aside in order to be crowned the best and how sports can help overcome political obstacles. While this film does not go to the Olympics, it reaches to Team USA. Haley Graham (Missy Peregrym) must return to the catty world of gymnastics. The film focuses on an elite gym where some of the U.S.’s best gymnasts train. The film reminds the audience of the work and the drama that it takes to reach the top. Runner Chris Cahill (Mariel Hemmingway) wants to reach her full potential, but romance complicates her goals when she falls for fellow runner Tory Skinner (Patrice Donnelly). Athletes need motivation, and it can be hard to find someone who gets the pressures of always having to be the best. The film explores the love lives of elite athletes and the sacrifices they make to be number one. 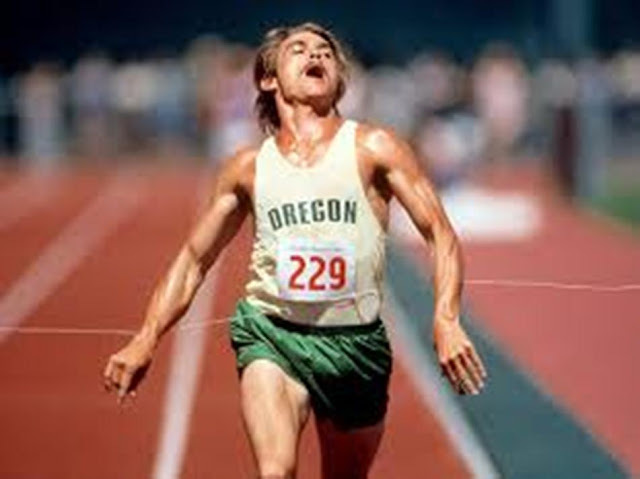 Another runner film makes the cut features the true story of Olympian Steve Prefontaine (Billy Crudup) and his work with Coach Billy Bowerman (Donald Sutherland). 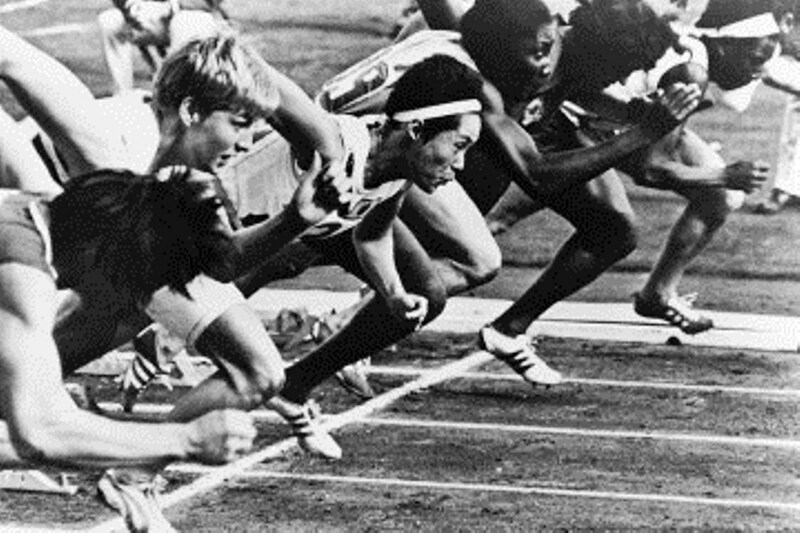 The film follows him from the 1974 Munich Games to his early death at age 24. While the ending may be sad, the story remains heartwarming. 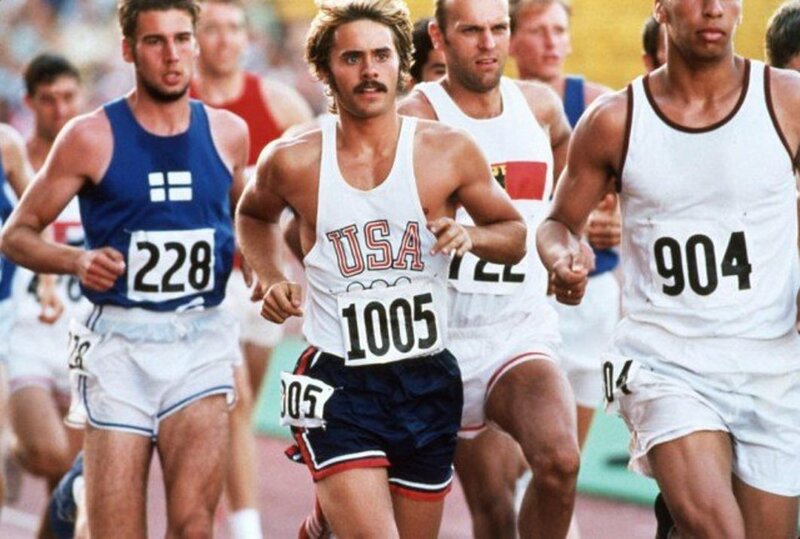 This film also focuses on runner Steve Profontaine, starring Jared Leto and follows a similar plotline to Without Limits. Though both movies have similar plotlines, they take different approaches. Either way, you may find yourself wanting to run the distance. The Italian cycling team fascinates recent high school graduate Dave (Dennis Christopher) so much so that he pretends to be Italian. However, he is really from Bloomington, Indiana—a town divided by those who built the university and those who attend the university. Dave, along with his best friends Mike (Denis Quaid) and Cyril (Daniel Stern) attempt to navigate their reality, without really wanting to accept it. This critically acclaimed film focuses on the emotion behind the numbers through cinematography. Instead of zooming in on one runner, Ichikawa shows all the runners at the start and follows the winner. The documentary is three hours long, but critics and audiences found the documentary worthwhile. 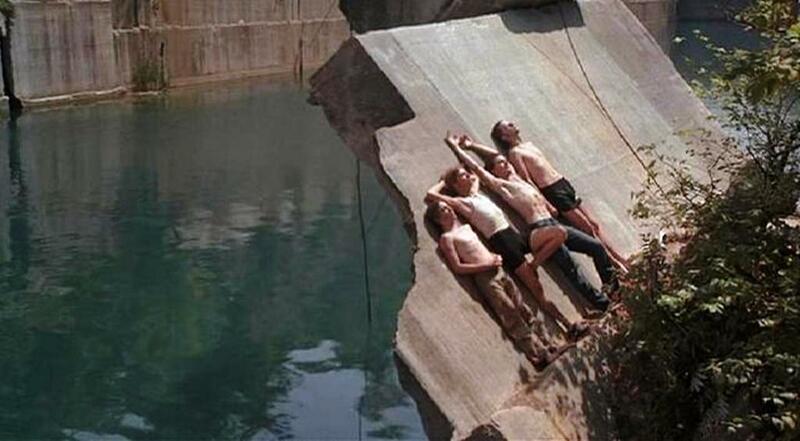 Scene from This is Spinal Tap (1984) ranked number one mockumentary. Welcome to our Reel Fives pre-launch movie rankings for the best mockumentaries of all time. Our Reel Fives team found 22 ranked lists of the top mockumentaries published online and ended up with 42 movies that made the list. For each ranked list of greatest movies for the genre, we have taken the top five ranked films. The movie rankings of the best mockumentaries we aggregated are included at the bottom of this post and include the best mockumentaries as ranked by movie experts as well as polling sites, such as ranker.com. Mockumentaries poke fun at the seriousness of documentaries with satire. 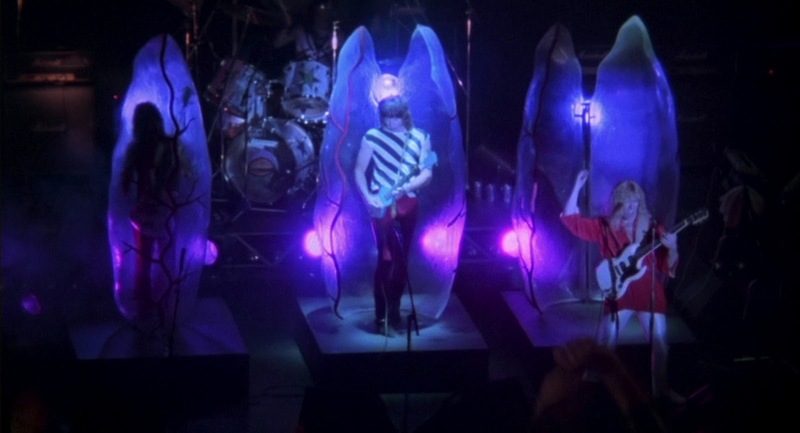 Any topic can have a mockumentary as long as it has colorful characters and the right amount of unfortunate events.Christopher Guest’s This is Spinal Tap (1984), the all-time best mockumentary (also ranked seventh best Spoof), chronicles a British band’s American comeback. Though the band has decent reviews on their albums, they keep having mishaps while they try to regain the audience they once had. Best in Show (2000), ranked second and another Guest film, follows five dogs and their owners through the Mayflower Kennel Club Dog Show. The humans become the starts of the show in this mockumentary with their quirks and passion for having the best show dog. Guest’s Waiting for Guffman (1996), examines the politics of small town theater as they attempt to impress Broadway critic Mr. Guffman. The ordinary town puts on a show of its non-eventful history and that is what makes the film funny. Who really cares that the town got a Dairy Queen? Belgian film Man Bites Dog (1992), tied for seventh, takes a dark twist on mockumentaries. A camera crew follows a serial killer and loses their objectivity along the way as they help the serial killer. Anything can be made into a mockumentary with the right characters and some imagination. Controversy follows some mockumentaries, especially when mockumentaries poke fun at something at the expense of a person or group. Borat: Cultural Learnings of America for Make Benefit Glorious Nation of Kazakhstan (2006), ranked third, mixes fictional and real life situations. Borat comes to America and decides he wants to get married so he does not have to move back to Kazakhstan, leading him into taking a cross country road trip. 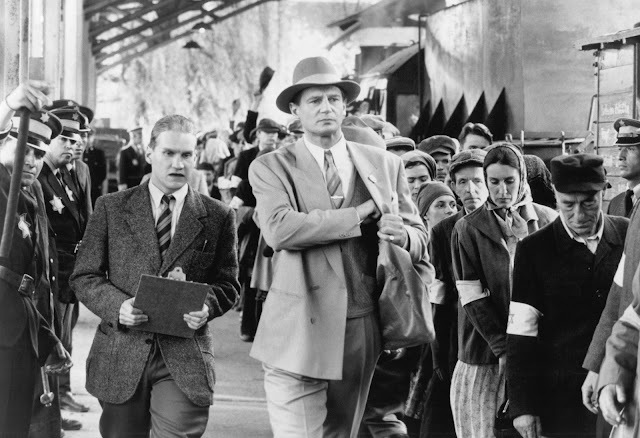 Some critics accused the film of being racist and anti-Semitic towards American and the state of Kazakhstan. Christopher Guest dominated the rankings and this should not be surprise as he devoted his life to making mockumentaries. His films make fun of people in the right ways. Mockumentaries can offend, as Borat (2006) did, but they do not have to. The rankings do not show a preference for any time period, though few mockumentaries were made prior to 1960. No subject or plotline dominated the genre and this gives the genre room to grow. We are happy to release the fifth episode of the Reel Fives Podcast on top films. This episode covers Ghost and Supernatural movies. With the unofficial arrival of summer this Memorial Day weekend, we thought these movies would inspire you to take a summer vacation. Summer vacations are special because they may include long road trips with family, a flat tire, gas station food, and loads of laughter. As the kids leave school for the next three months or so, their imaginations can run wild. Why not take them on trip with some of these movies? Maybe they will want to go to summer camp or on a road trip? Summer reminds us all to relax and slow down. These movies will do just that. Make some popcorn, grab a cold beverage and sit down and watch a movie or two! 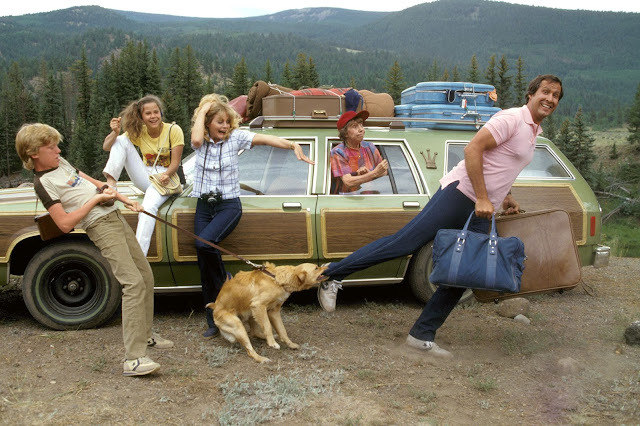 This Chevy Chase classic reminds us all of the potential of road trips. Road trips can be boring and to cure the boredom, you may focus on something else. Vacations rarely go as planned and this film captures the hilarity of plans gone wrong. Sometimes the best vacations are the ones with some bad luck. If anything, a great story will come from it! 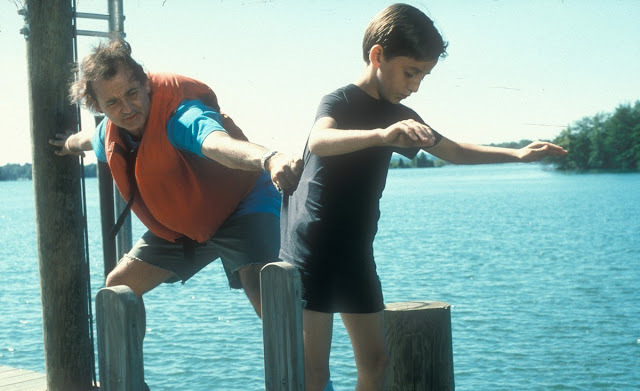 Bill Murray and Richard Dreyfuss star in this comedy of one man just wanting to enjoy a vacation. 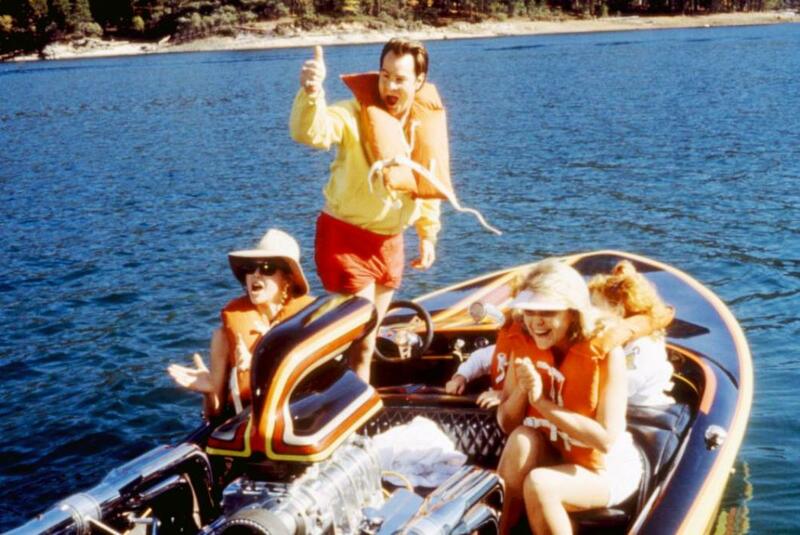 Bob Wiley (Murray) become dependent upon his psychotherapist Dr. Leo Marvin (Dreyfuss) so much so that he tracks him down during his vacation in Lake Winnipesaukee, New Hampshire. This movie will make you thankful for your (hopefully) relaxing vacation! 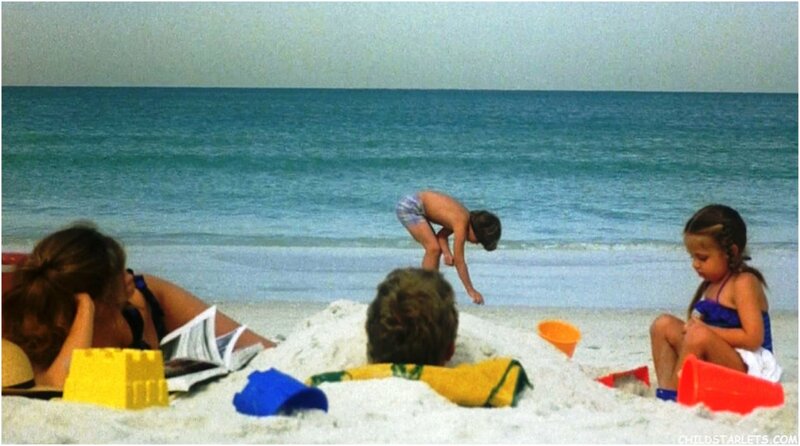 Jack Chester (John Candy) takes his family to the beach for a relaxing summer vacation in sunny Citrus Grove, Florida (Gulf Coast). However, he does not get to relax because he feuds a local. To win back his pride and respect from his family, Jack must race him. If you like competition, you will enjoy this movie! A must watch movie for fans of sailing. Annoying in-laws disrupt Chet Ripley’s (John Candy) family vacation in a resort located in the woods of Pechoggin, Wisconsin. Sometimes all you want is to get away from your family to relax. But other times, your family may have other plans and those plans can result in a laugh-out-loud misadventure. David Wain’s indie cult classic captures the last day of a 1981 summer camp in Waterville, Maine. Starring the ageless Paul Rudd, Amy Poehler, Chrisopher Meloni, Margeurite Moreau, and many others, this original comedy shows the best parts of summer. 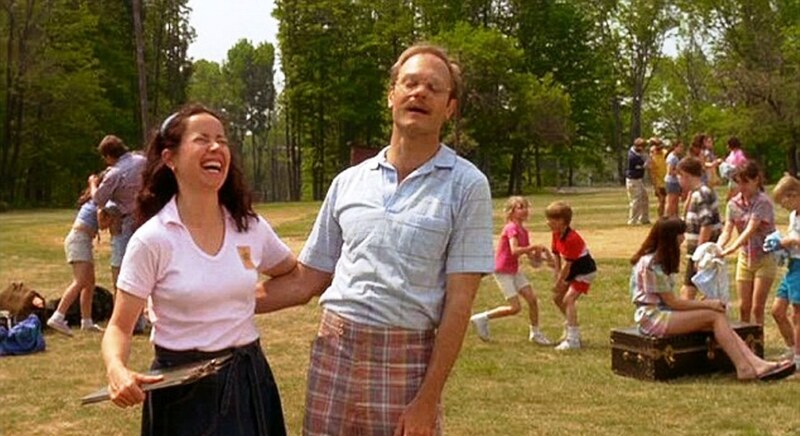 Summer camp involves new friendships, growing up, hijinks, and laughter of course. This movie is the first movie acting role for Bradley Cooper. Roast up some s’mores and reminisce on the all-American summer camp experience. Steve Carell and Allison Janney star in this coming-of-age summer movie dealing with the pains of fitting in. Duncan (Lian James) finds refuge with a water park manager Owen (Sam Rockwell) and together they learn to deal with not fitting in. This movie can help kids realize that they will find a place to fit in. 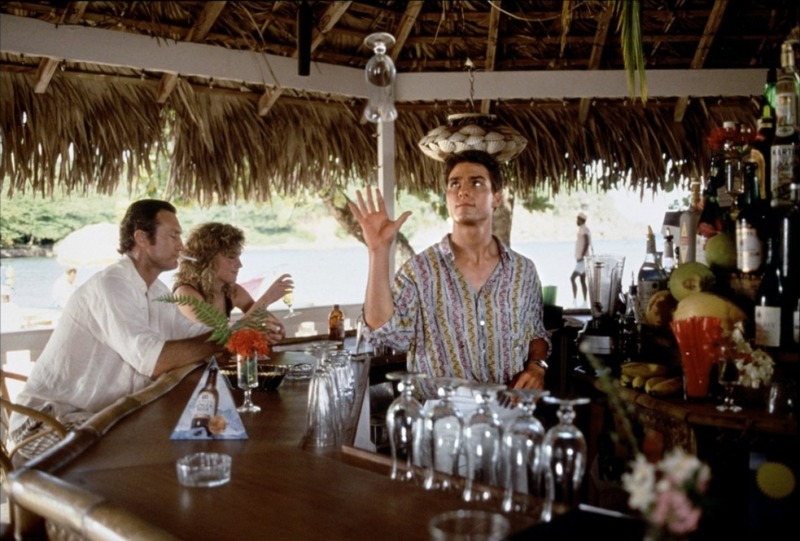 Tom Cruise starts in this R-rated summer classic as a bartender in Jamaica and finds love. But life does not go as planned. Summer love is fun, but it can get complicated and when it does, that is when it is tested to see if it really is just a summer fling.